RemmitEx is a regulated EU financial services company based in Estonia. It is focused on meeting the sophisticated needs of institutions, active traders and other trading professionals. RemmitEx offers trading and custody services for Bitcoin (BTC), Bitcoin Cash (BCH), Ethereum (ETH), Litecoin (LTC), Ripple (XRP) and a lot more. Its Geography is truly Global; they are operating in over 60 countries but not in India. They work with their banking partners and offers deposits/withdrawals in multi fiat currencies. Cryptocurrency market is still such a young industry and with the correct legislation and regulation, there is a believe cryptocurrencies will become part of our daily lives. The technology behind cryptocurrencies blockchain, is harnessed by numerous sectors and wouldn't be surprised if companies create their own cryptocurrencies for internal use to maintain transparency. As technology improves there will be more interest in virtual currencies and block-chain technology and we will see a wider adoption of these in the future. A wide adoption of cryptocurrencies and block-chain technology across the globe also suggest - We need to be more statistical rather than Skeptical. "Regulators need to design a mechanism that would ensure the funds are not used illegally and the most important thing is the ability to track its source. We will wait for a published draft and defined structure of regulations and framework before we start business operations of buying/selling market in INR to India," he added. Ponzi schemes running behind the crypto market are in absence of regulatory framework, consumers need to be alert and be extremely cautious as to avoid getting trapped in Ponzi schemes which can result in sudden and prolonged crash exposing investors, especially retail consumers losing their hard-earned money. 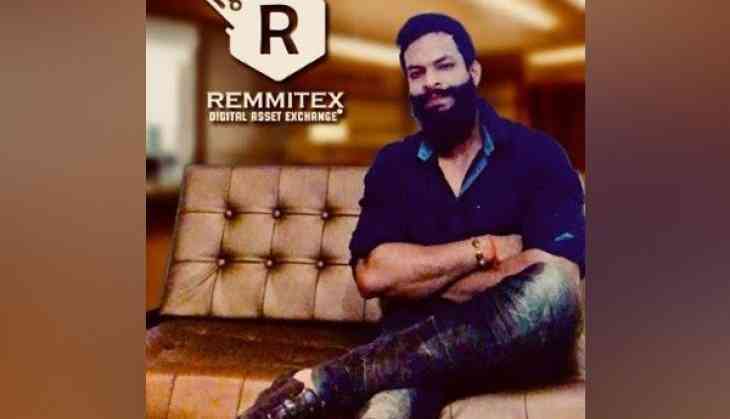 RemmitEx doesn't deal or promote in any such Ponzi schemes. Trading in virtual currency is a new form of financial asset as per Indian laws. We will still be able to buy or sell your Bitcoins through peer to peer exchanges. We trade various assets, shares and other commodities in stock market. The entire brainstorm was due to the anonymous nature of transactions. The Indian Government's worry was to check tax evasion and ill-conceived financing. Many peer-to-peer facilities are out in the market that can be used to trade them (crypto currencies). The central mechanism should be in place which will make sure that the money invested is not illegal money, and that will make tracking these transactions easier. We firmly believe in government of India and our country is the sixth largest economy in the world now. The current Government has boosted and supported Digital India in a big way. We are looking forward positively towards regulated framework in crypto industry in India and will be eagerly waiting to open our market place in INR as well. Currently RemmitEx is licensed with multi fiat currencies (USD, EUR, GBP, CHF) and launching its market place in over 60 crypto-friendly countries, added Dwivedi. Looking at the current scenario, RBI is particularly worried about the security and assurance of the traders, the obscurity of exchanges, and the digital forms of money's absence of characteristic esteem and in view of all that RBI isn't prepared to regard virtual cash as a legal tender. Virtual Currency like Bitcoin itself is secure, trades, where it is exchanged, are inclined to digital assaults. Many institutes including Internet and Mobile Association of India (IAMAI) and other crypto exchanges had reached out to the central bank last month for the same, suggesting possible ways in which the industry can be regulated. The Indian Government made two panels to look into the situation. The first panel suggested banning such activity to ensure that no more people may be duped while on the other hand, the second panel is readying to suggest the government to regulate the virtual currencies as commodities and not currencies due to their volatile prices.